Every writer is different, and no matter what you say to them, your method is probably not going to work for them. However, what they can use are bits and bobs from your method, and create their own style. Personally, revision ‘by the book’ is never going to work for me. I have my own way that works. Since my revision and editing method appears to be in hot demand right now, I’ll give you an overview of what this looks like. Like many writers, I just love revision and editing. But it’s a lot of work. Initially, it takes a bit to motivate me to actually do it, but once I’m stuck in, I’m really in. And it’s a truly wonderful objective reality to live in for a while. This is a quote that I absolutely live by in my writer’s world. Unless you are some sort of writing genius, who far exceeds even the greatest writer’s esteemed skills, the fabulous words of Hemingway’s stark reality applies to your first draft too. In my eyes, the first draft is your base – the foundation of your story. I like to think of it as a skeleton. It’s not until you start revising and editing, that the muscle definition appears, and then after scrutinising it further, the finer features can start to shine through, and it eventually becomes a really defined and stunning piece of artwork. This is lengthy process, and will probably take a lot more than just the one edit. When I finish writing a novel, I put it down and I walk away. Before I put it down though, I hand the finished piece over to my Alpha-readers. Then I mentally walk away. My Alphas have a read of it, write me notes, and they meet with me for lunch or coffee to have a big lengthy chat about the book. They tell me if they hate a character, love a character, or if something in there is leaping out at them that just doesn’t fit or make sense. During this process, I’m sitting there, notebook in hand, or my dictaphone (depending on the Alpha) and I’m getting down everything that they are saying. My Alphas are not writers, and it is fairly unlikely that they ever will be. (Mind you, in saying that – I have just recently acquired a writing Alpha, but she is also a critique partner as well.) Bear in mind, that while all is this happening, I have actually mentally walked away from the book. All I am doing is getting someone else’s opinion on the book, and I’m recording it for future reference. Stay away from the book for a decent period. I’m serious. This could be a week, or a month – however long it takes you to mentally ‘let go’. Then when you have had some time to think about everything else but the book, have a look at all your feedback you have acquired, and start thinking objectively. Usually this is the point where I start reading through it, and correcting any glaring errors that shouldn’t be there. I also like to tighten sentences and paragraphs around this time as well. This is a great time to incorporate some of the ideas that your Alphas have given you as well – if you haven’t already. Lots of writers believe that you should ‘revise’ before you ‘edit’. Revising is when you are looking at the story arc, character arcs and motivation, depth, scenes, chapters, paragraphs, tension, pacing, etc, etc. You get the general gist. However, I work the other way around. I ‘edit’ the sentences and tighten as much as possible before I release to my Beta readers. I do this so that my Betas aren’t getting distracted by my little writing inconsistencies. I don’t think that’s fair on them, especially if they feel the need to try and correct it! Feedback. Sometimes this feedback can be pretty hard to take. I have one Beta who is damn hard on me, but it makes me a better writer. The feedback she gives me would probably be soul destroying for a lot of people. She basically tells me that it’s rubbish, and she goes through the whole manuscript with a fine toothed comb and beats me up over it. The key to dealing with this is that I can’t take this sort of feedback personally. (Even though sometimes I do…) I trust her judgement though. At the end of each beating, she will give me her honest opinion. She will tell me whether or not it’s good, or it needs to serious work done to it to get it up to scratch. If she tells me that it’s good, then I know it’s good. It just needs further revision and editing. The woman is a perfectionist. Beta readers should be giving constructive criticism, in order to for you to significantly improve the book. At this point, I gather everything I have, all the feedback and research, and I go through it. This is where my revision stage really starts. On A3 pieces of paper, I use coloured pens and a normal standard pencil. – I look at each significant character I know needs further work and I break them down. I analyse their individual motivations, their personalities, and whether or not they should probably die – or whether they have redeemed themselves enough in the book to live. – Each chapter is under scrutiny, on whether it is needed or not. I also write down each chapter as a heading on my piece of paper, and depending on what I am doing to the characters, I add in bits and pieces into the necessary future chapters to strengthen the storyline. In summary – I am looking at characters, flaws, emotional arcs, chapters, storyline, etc. Not only am I tightening, but I am also analysing closely, figuring out how I can give the characters more depth, more/less back story, motivation, and this in turn strengthens the plot. I cut the entire manuscript into Scrivener, separate into chapters, and then I get to work. Looking closely at my plan, I chop, change, and save all my unused bits into another document. Backstory gets smashed to bits, and then reused in more appropriate areas, if it’s needed. I often write prologues, or prefaces in my manuscripts. This is when I make a decision on those as well. Are the originals still appropriate? Or can I ditch them? Do I need a completely different one? Rewrite. Lots of writers, editors, and agents don’t like them, but if they are done well, they can provide an awesome set up for the book. 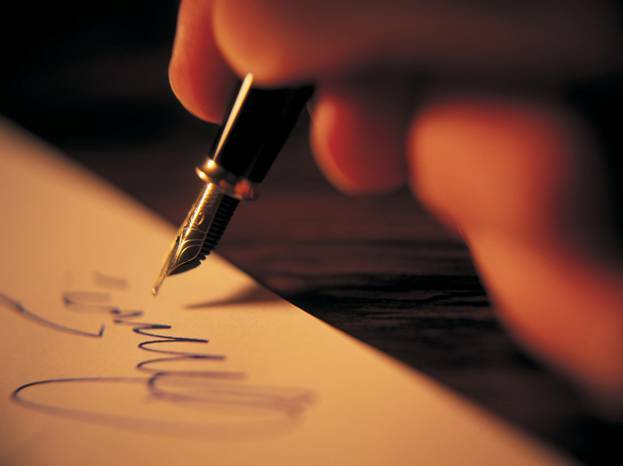 Personally – I think that it’s up to you as the writer whether or not they are needed. Your critique partner will also give feedback on it as well. When I finish all of this revising and editing, I feel as though this book is almost ready. Then I throw it at my Critique partner. I have between three and four different Critique partners and I use them independently depending on the type book, and the genre. Some books get a number of Critique partners combing through it, others just have one. My Critique partners are all established writers, with very critical eyes. Three of them are published authors either in short or long fiction, and one is on the verge of publishing. I would also like to add that they are amazing people. The feedback is of high quality, and they will tell you whether or not a spade is a spade. Good Critique partners will give you their honest opinion, and you as the author will listen and take it on board to potentially use it in the final stages of revision and editing. Planning, again. Enter the final stage of revision and editing. Voila. A polished manuscript that is ready to go forth into the world. Michelle Davidson Argyle wrote a good post on How to find a Beta reader. Scott Tracey thinks that Critique Partners are a lot like Goldilocks. and Jami Gold wrote a great Perfectionist’s Guide to Editing. I strongly suggest visiting these bloggers. They have some awesome advice, and great opinions. Lock their blogs in to your favourites, or subscribe. You can’t go wrong with bit of sound advice. Great advice, Leigh. I knew what beta-readers were but couldn’t quite distinguish them from alpha readers. I am also a non-traditional editor. I like to do the glaring errors first before fixing story arcs. Thanks for the links too! I’ll read through them. Glaring errors annoy the bejeezus out of me! Sometimes I just can’t see them, but usually by the time I have taken a wee break, there they are… staring at me, full frontal! There is so much great advice in this post. Thank you for sharing! I’m really pleased that you enjoyed it, Breanna. I know that you are having a few editing and revising issues of your own at the moment. Just one step at a time is my advice. Don’t look at the whole book, because that just gets too much. Look at it in bite size chunks. Main characters and motivations first, and the rest will probably just start to fall into place. Oh, and my other little piece of advice is – don’t plan out the revisions on your computer. You’ll just want to make everything all perfect if you do that. Get out coloured pens and pencils, and get a little creative with it. Let your mind free itself from the restrictions of your plot. All the best with the revisions and edits. I know you can do it. Thanks for the link! I like your breakdown of the different steps here. My learning curve novel went through more stages than that, but I’m planning on streamlining the process in the future. 🙂 Thanks for the great post! You’re welcome, Jami! I just loved your post. Its a great guide for how to get it right – the perfectionists way! So yes – thank YOU for the awesome post! Like you, my first rounds of editing and revision just went round and round in circles. I had no idea what I was doing, and just continuously got lost in there. Terrific! Thank you for writing these insightful words! Thanks Jon! It’s nice to hear that I do actually write something that others find insightful. Your #3 is a big one for me. Sometimes *I* need to focus on the little things and get them cleared up before I can settle back into the big picture, and I definitely want to make it as easy on my beta reader as possible.